You are currently browsing the tag archive for the ‘school board’ tag. It’s official. 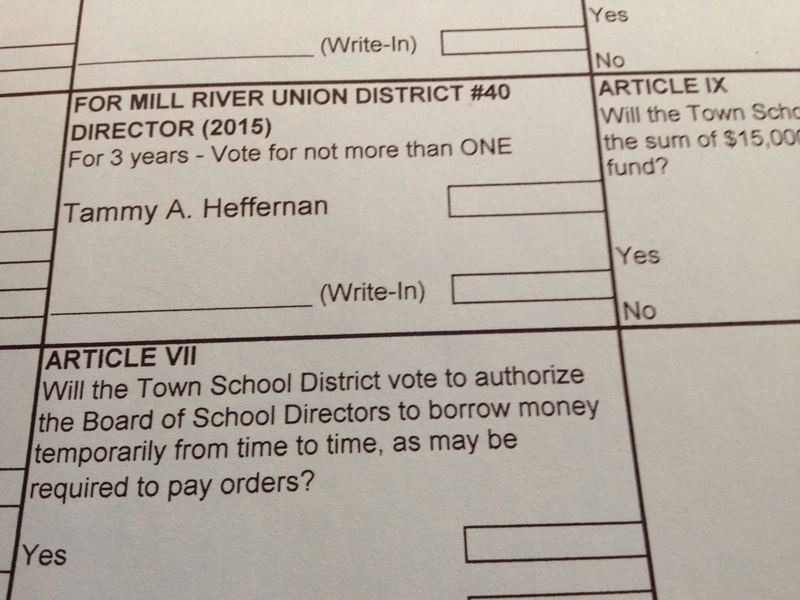 I have been elected (thank you, thank you, thank you Wallingford voters) to the school board for the high school. The ballots were counted and although I ran unopposed, I still needed votes to get into office — it would have been very sad to run unopposed and then not get in — not sure how that would work, but I am fairly confident that if it could possibly happen, it would happen to me, the oath was administered and I have sat through my first board meeting. There will be a learning curve without a doubt, but I am looking forward to rising to the challenge. I hope that things might be better for my effort. All that aside, it was so very strange to walk into vote and find my own name on the ballot. I betcha that my dad would have been proud.